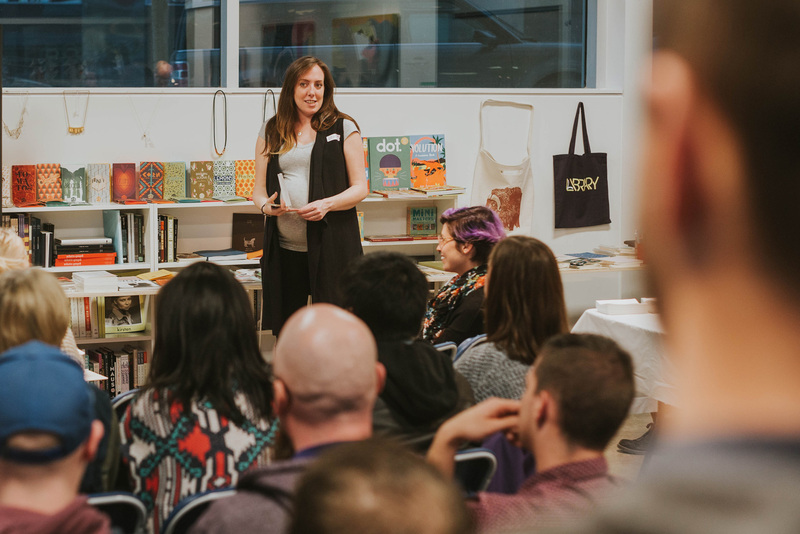 In Toronto, one has the opportunity to attend design-related events every night of the week. Not so out here in the country. 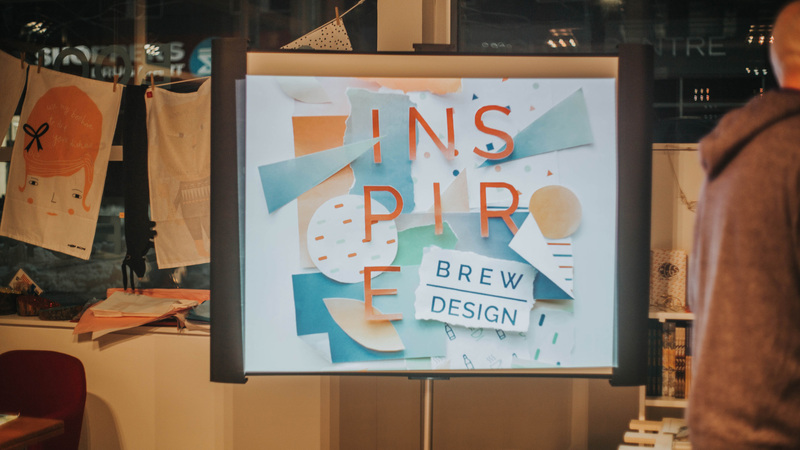 In light of this we were excited to discover Brew Over Design, a semi-annual event in Kitchener put on by Him and Her digital studio (who have spoken previously at Paris Lectures). 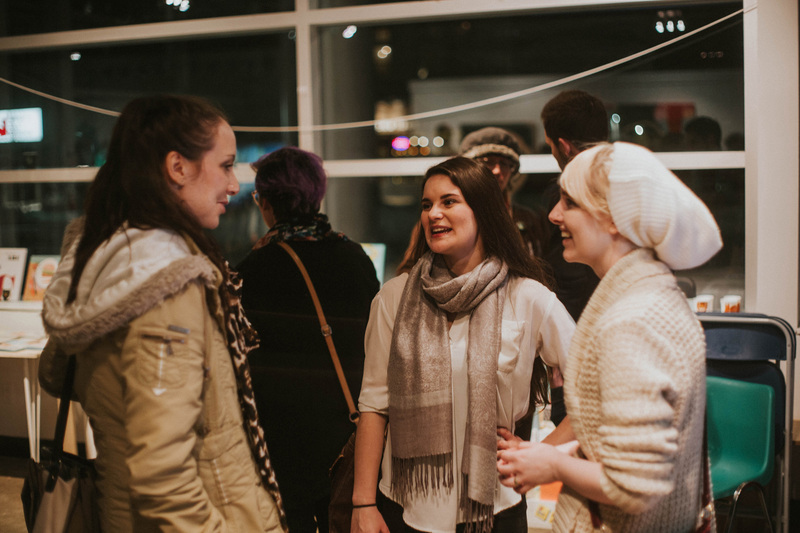 On one rare evening of freedom we ventured out to this social gathering to catch a glimpse of a growing design community in the area. The first thing we loved about the event was the venue. 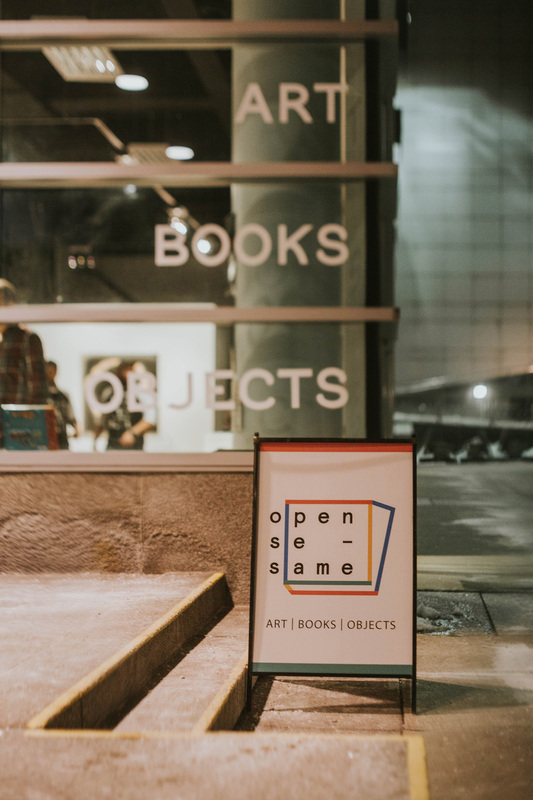 Reminiscent of Swipe Design in Toronto, Open Sesame embraces design culture fully. 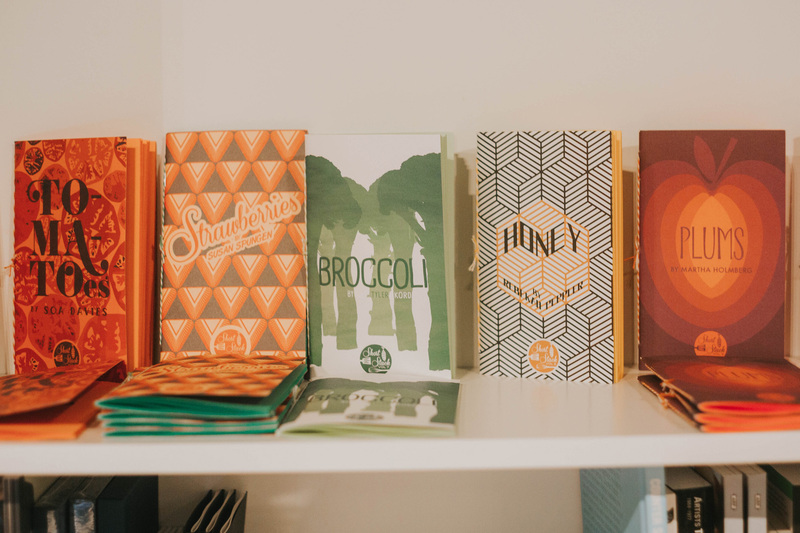 Familiar publications and design-driven products line the shelves. 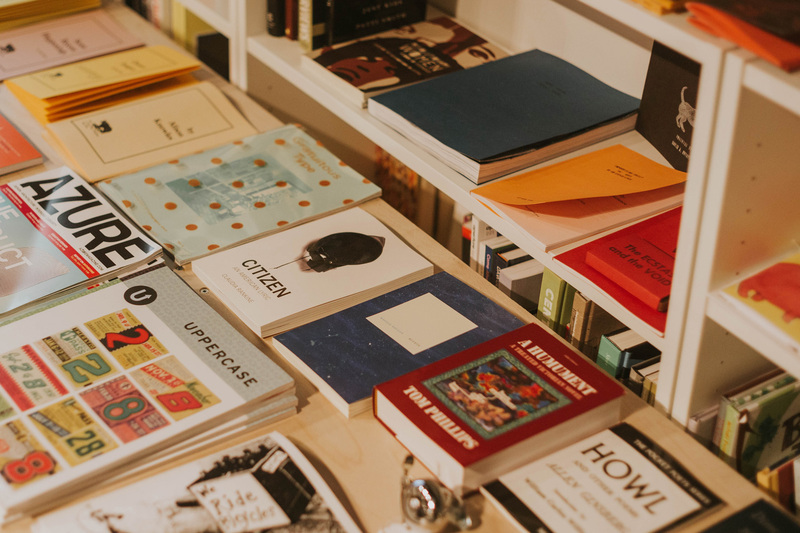 Massimo Vignelli’s Stendig Calendar hangs on the wall, orderly piles of Tattly’s temporary tattoos share space with issues of Azure and Uppercase magazine below a bookcase loaded with beautiful art books including a fantastic selection of Drawn Quarterly graphic novels. 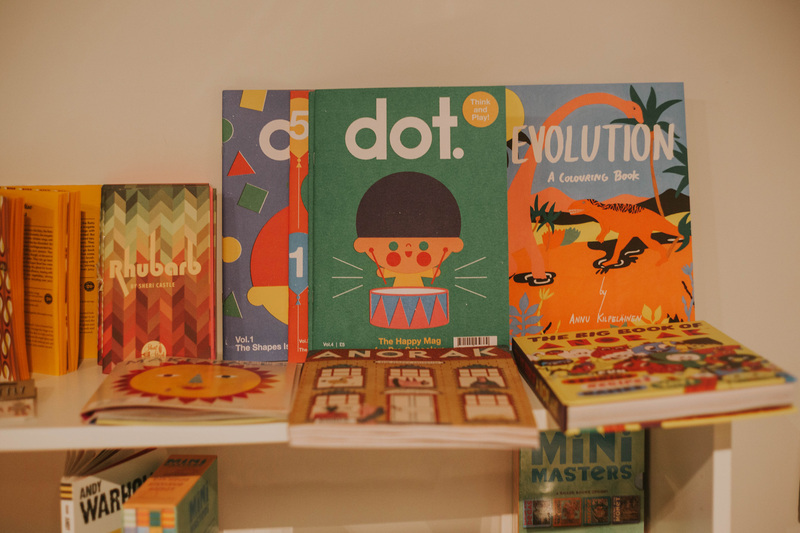 They even stock the hard-to-find British gem Dot magazine, which we bought a subscription to for our nephew’s fifth birthday. 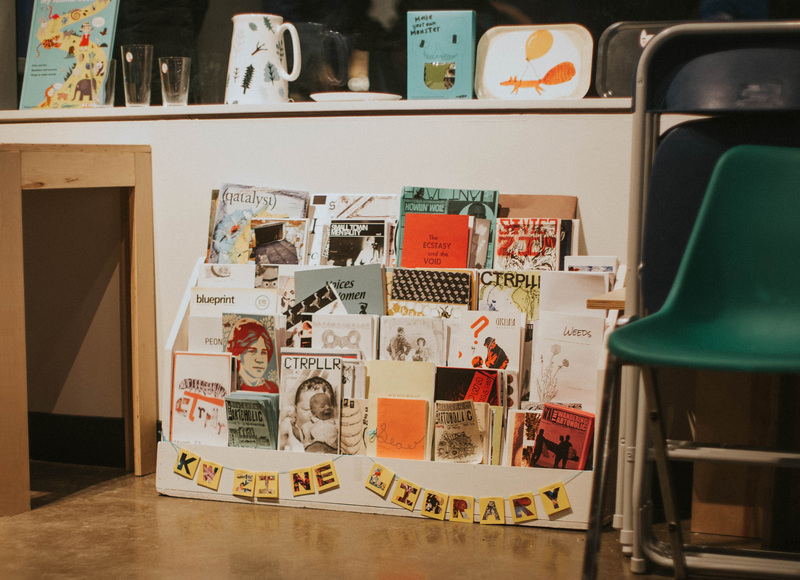 New design artifacts tickled our imaginations too, in particular a terribly exciting Kitchener-Waterloo Zine Library, only recently assembled. 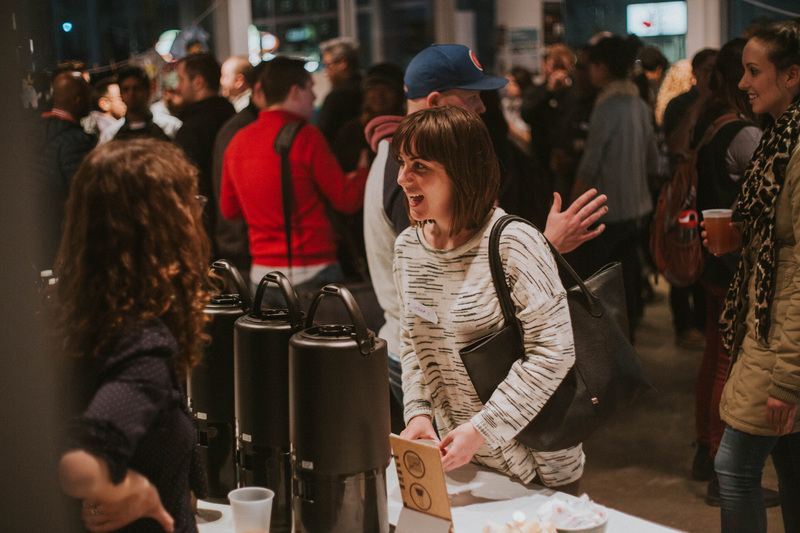 High quality sponsored coffee from Settlement and local craft beer from Abe Erb reminded us that there is corporate support out there for events like these. 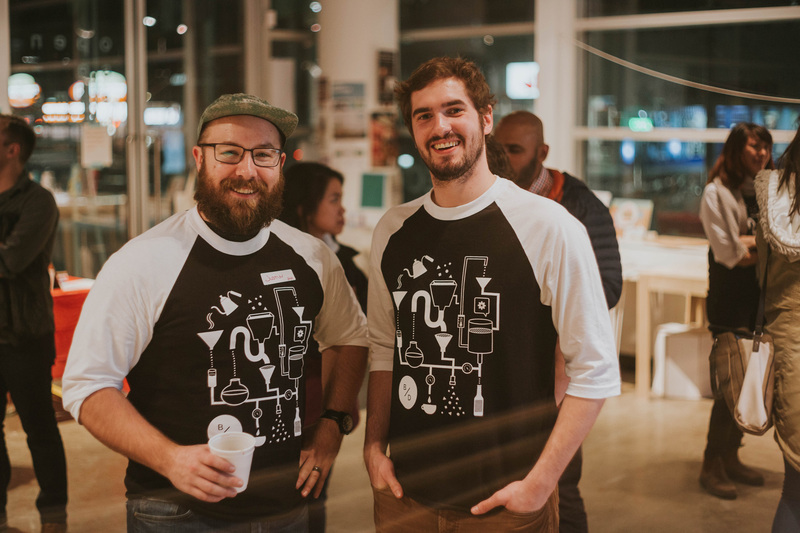 Attendees reminded us what it is like to be energetic designers just establishing themselves in the industry. 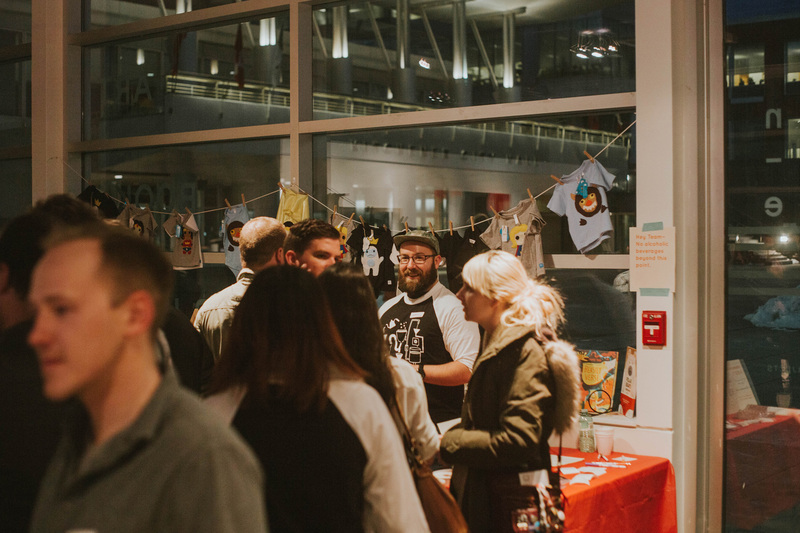 Altogether Him and Her put on a great show, cultivating opportunities to connect with like-minded creatives and supporting up-and-coming designers. All these factors opened our minds to new possibilities as we think about continuing Paris Lectures. Generally we enjoy kickin’ about the house in jammies, snacking on nuts and seeds and doing other old person things like listening to terrestrial radio, but every now and again it’s nice to be reminded that there are real people out there who wear pants, daily. 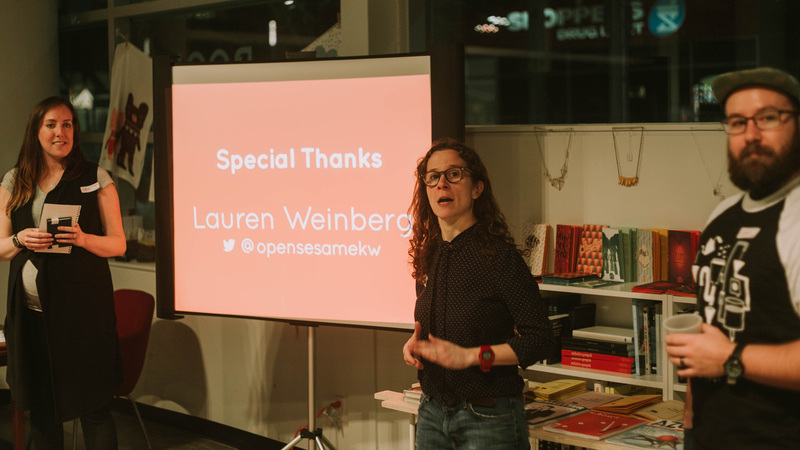 The event clearly attracts a slew of these varied professionals; we met a seasoned photographer, a graphic designer, an aspiring film maker, a freelance writer, and the approachable owner of Open Sesame, Lauren Weinberg. All seem to reflect Kitchener as a growing wellspring of talent. 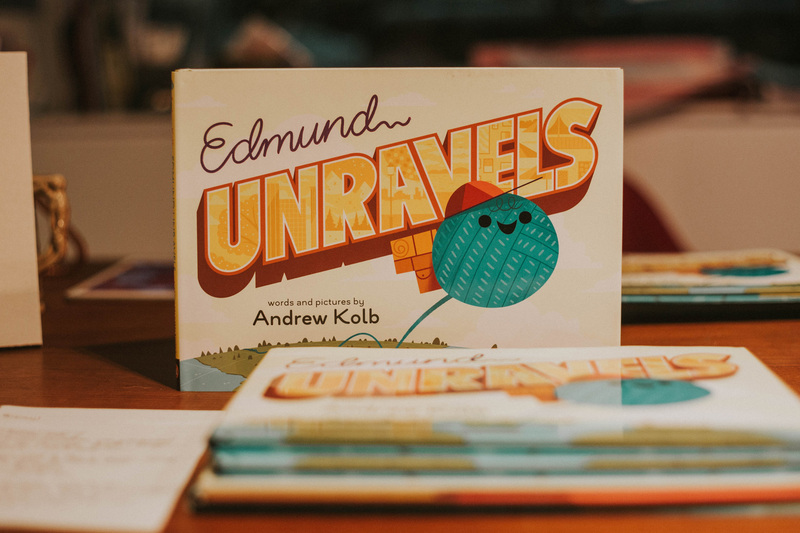 The speaker at the event, Andrew Kolb, is a super-talented illustrator and newly minted author, having recently published his first picture book Edmund Unravels. 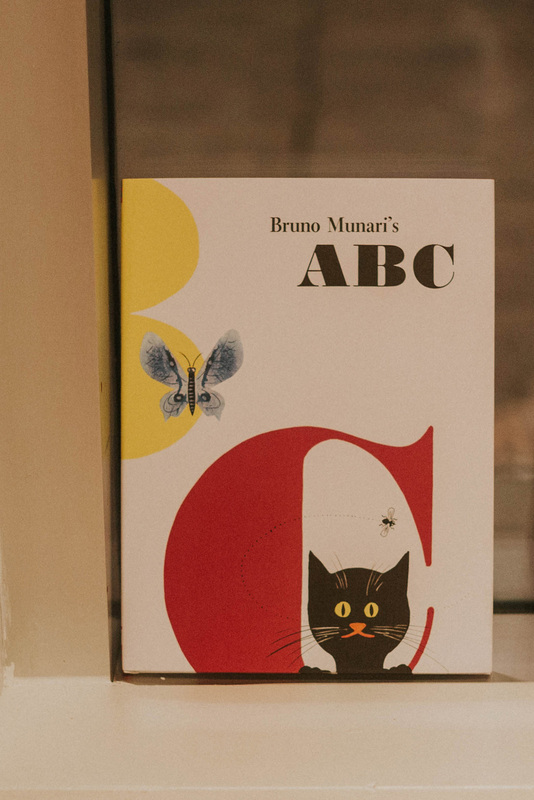 We always find it fascinating when graphic design meets timeless illustration meets creative children stories, a lá Bruno Munari’s ABC and Saul Bass’ Henri’s Walk to Paris. 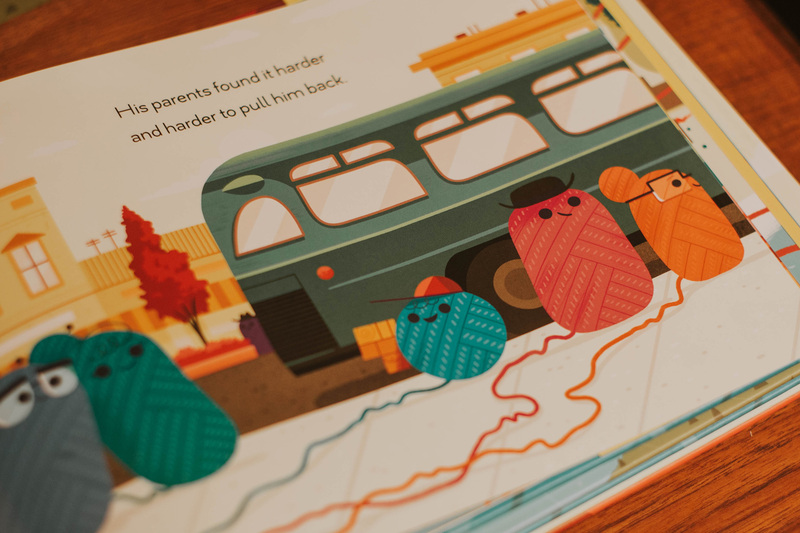 Projects from the heart. 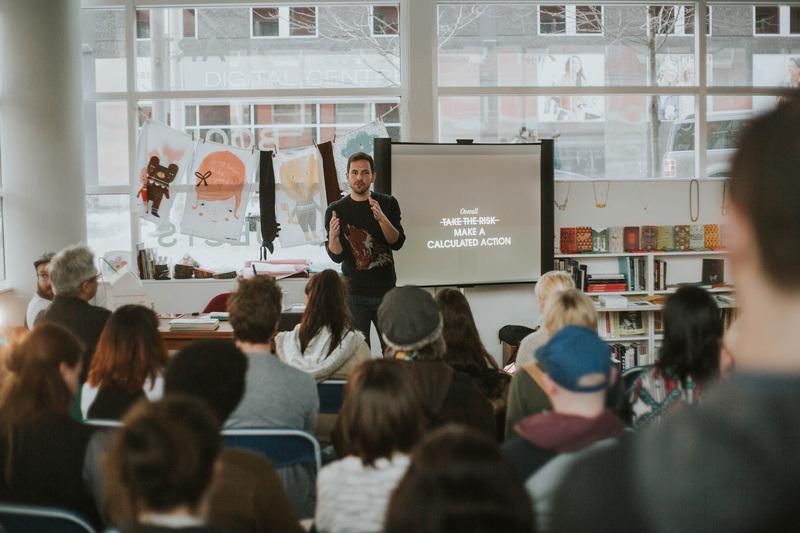 We particularly enjoyed Andrew’s anecdotes relating design to dating. 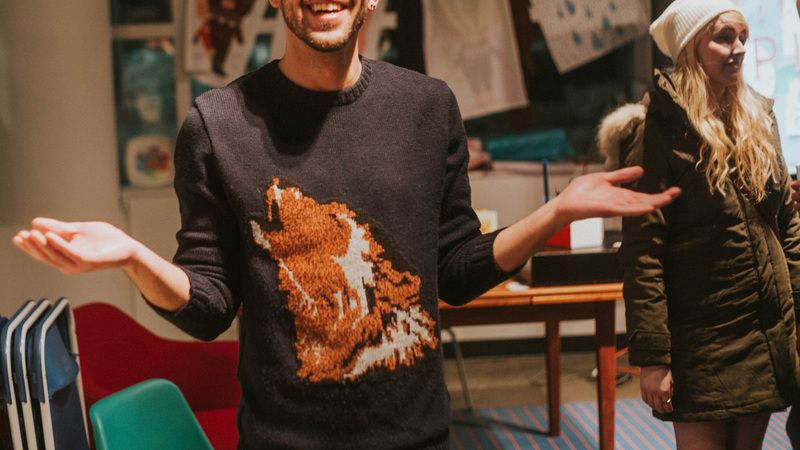 He told a story of finding a connection on OkCupid who was rated 0% friend, 95% enemy; of course he really wanted to meet this person, as life and design are not about everything being perfect – they’re about keeping things interesting. Big thanks to Him and Her for having us out! 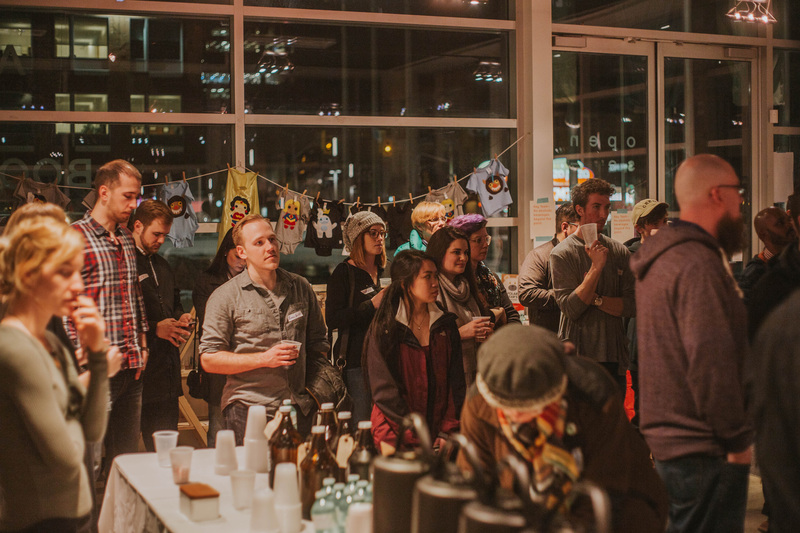 We are already looking forward to attending the next Brew Over Design event.